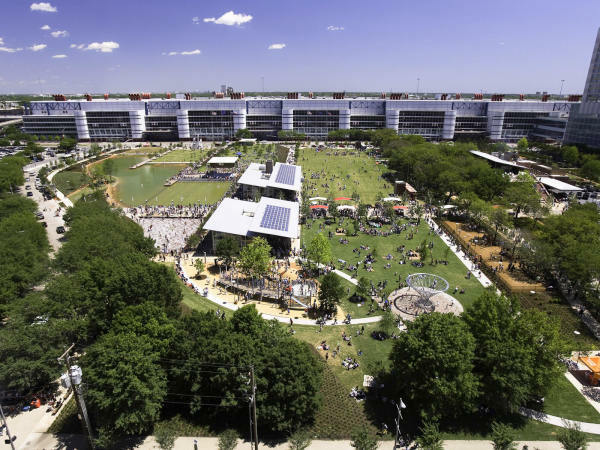 A young Austinite who entered the National Spelling Bee as competitor has emerged a local hero. 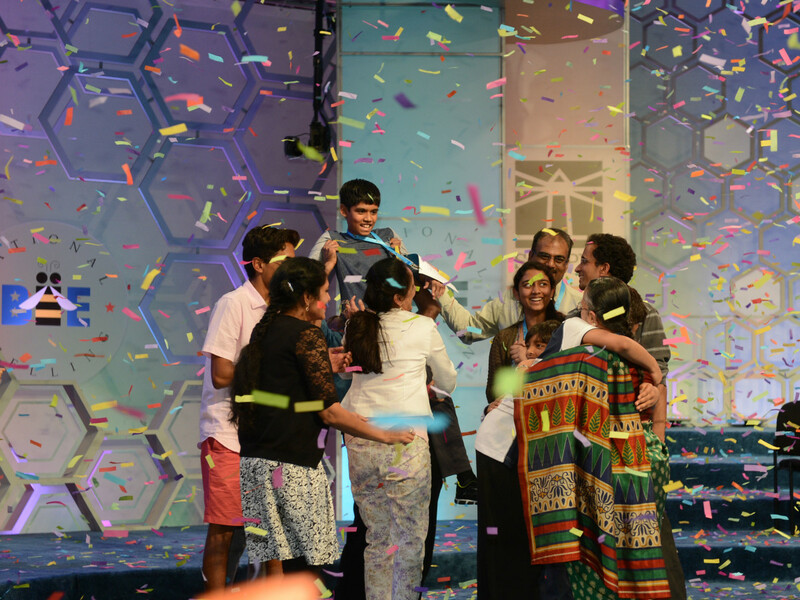 On Thursday, 5th-grader Nihar Janga was named co-champion of the 2016 Scripps National Spelling Bee — the youngest winner on record. 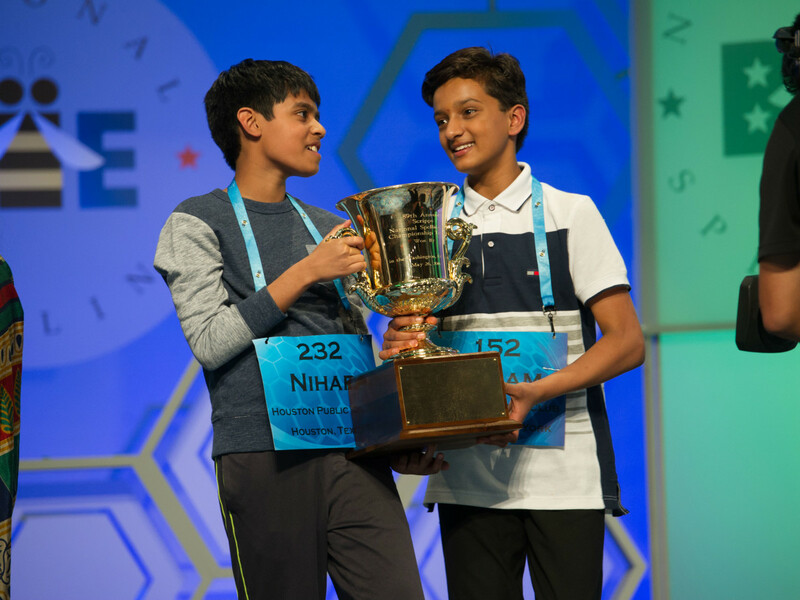 The gifted 11-year-old Janga was crowned alongside 13-year-old Jairam Hathwar of Corning, New York, after an epic battle of 24 head-to-head rounds. 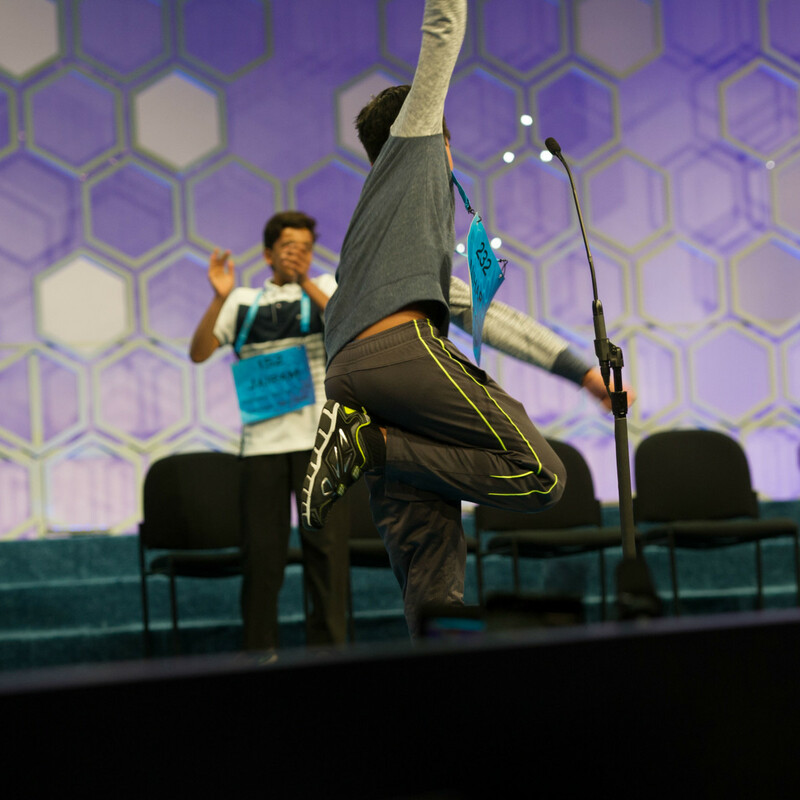 This giant win for Janga follows his advancement from the Houston Public Media Spelling Bee, the second largest bee in the nation. Broadcast live on ESPN, the thrilling finale arrived when Janga correctly spelled the word “gesellschaft,” defined as “a rationally developed mechanistic type of social relationship characterized by impersonally contracted associations between persons.” Yeah, we totally knew that word in 5th grade too. Janga mimicked NFL player Dez Bryant by crossing his arms in an “X” formation to celebrate the win, causing laughter in the crowd. In fact, Janga was a popular contestant throughout the spelling bee. He was given the name “The Machine” by ESPN commentators for spelling every word perfectly up until the championship round. 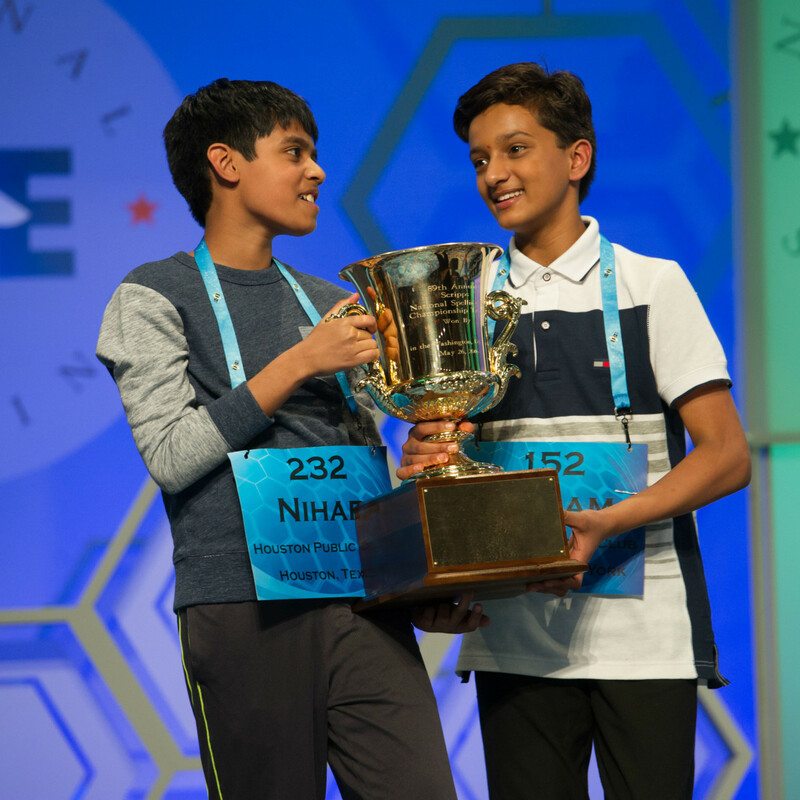 (Janga and Hathwar exchanged a few misspellings in the final rounds, which kept them both from going home.) Janga, who attends River Ridge Elementary School in the Leander ISD, was also the only participant out of 285 to ace the written test. 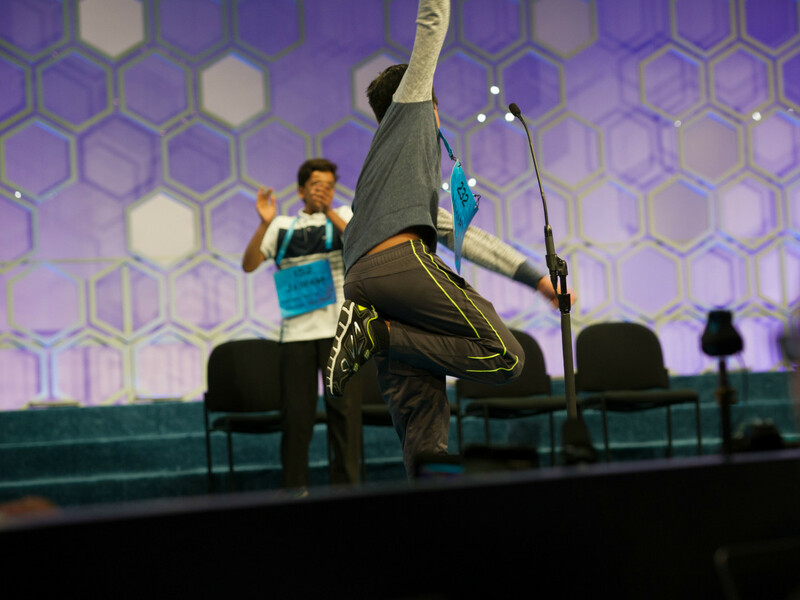 This is the third year in a row that the National Spelling Bee has pronounced co-champions. 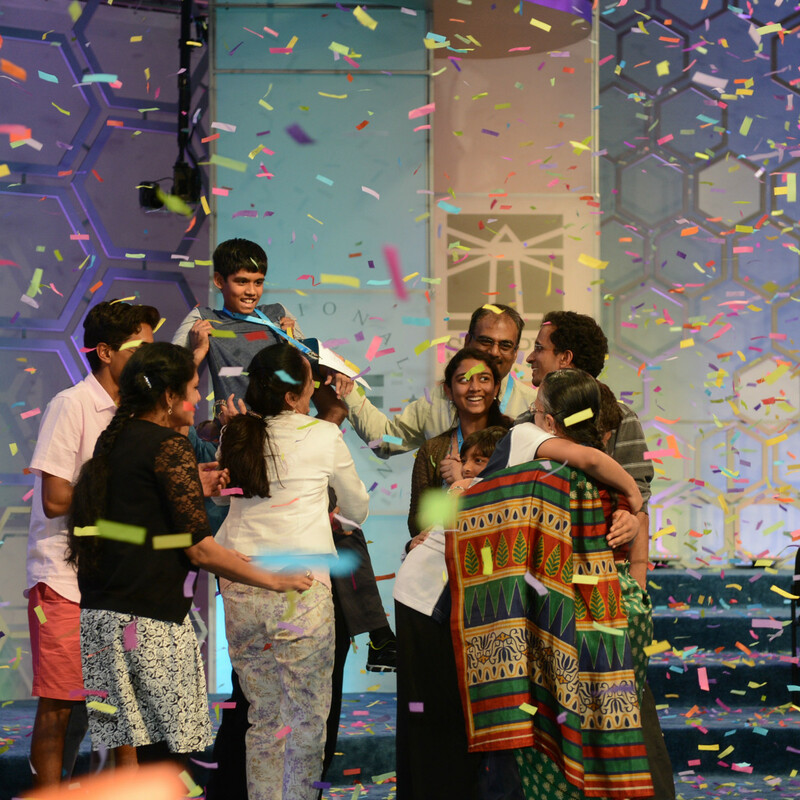 However, even with a tie, the families ran out to congratulate both children as confetti flew down, with Hathwar’s dad hoisting Janga into the air and spinning him around in celebration.